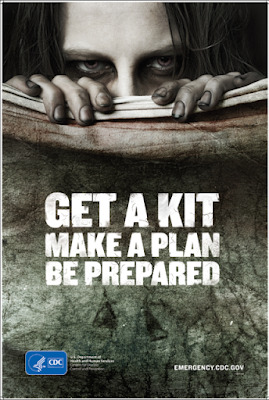 Just really loved this emergency preparedness poster by the Center for Disease Control (CDC). It builds off of the #1, hit TV show, The Walking Dead that films in Atlanta where the CDC is. The show is about a zombie apocalypse and the story of how people survive (or not) amidst a global pandemic and the murderous awakened dead that feast off of the living. Here's a link with what the CDC recommends you have in an emergency preparedness kit. The CDC also has a comic book with a zombie outbreak theme that further drives home the importance of a preparedness kit and what to have in it. 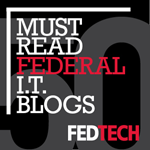 I think it's great when government thinks outside-the-box in ways that appeal to everyday citizens to serve them, help them, and especially keep them safe from disasters. 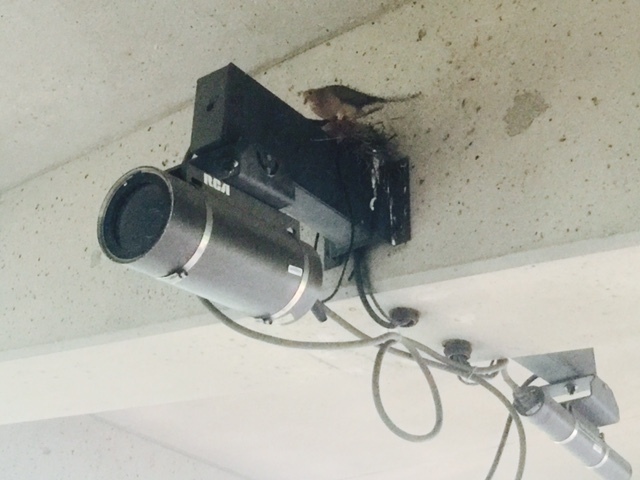 I took this photo today of a bird's nest on top of a surveillance camera. The pure irony of a bird finding safety and shelter in a nest atop a surveillance camera looking out for bad things like criminals and terrorism. On one hand, safety and security. And on the other hand, the fear and insecurity of it all. A bird may find a peaceful nesting place there. But for the rest of us, the world continues to be a very dangerous place. Often walking the streets of a major urban city, I think to myself the chaos and danger that could so easily ensue if events took a sudden and serious turn for the worse where society as we know it can completely start to unravel, and as they say, "the sh*t hits the fan!" The camera is surveilling and the bird is watching from their perch. We go about our days like the post apocalyptic zombies that wander the Earth. But not so deep down, in our minds and hearts is the terror of what can happen at any moment and what is likely destined to happen eventually. Watching this video of an ebola patient escaping quarantine and the panic in Liberia, it is hard not to be concerned about it coming here. Additionally, with a third American infected with Ebola overseas coming back home for treatment, and the CDC retesting a Miami patient negative for Ebola after having shown some symptoms, the stakes seem to be going up with this deadly disease. Just last Friday, GovExec reported that Ebola has a 18% chance of reaching the U.S. in September. Moreover, if the outbreak is not contained the risk of it coming here is said to "increase consistently." My daughter asked me the other day why commercial flights to/from the infected countries (not including aid delvieries) have not been cut off for now to help prevent the spread of the disease and save lives. Unfortunately, I did not have a good answer to this, except that certainly there are economic and social implications to those countries in the short-term, but what are the potential costs to countless other global citizens if we do not do everything we can to adequately contain this outbreak? I took my daughter for a flu shot last evening. We went through the typical drawn-out paperwork and long wait to get something so routine. When the medical practitioner finally arrived with the flu shot, there was a little baggy with all the acoutrements including alcohol wipe, band-aid, cotton, etc. As the lady starts taking out the items to get ready for giving the shot, she drops the cotton on the floor. She picks it up quickly, and pretending we didn't see, she quickly throws it back on the medical tray. She open the band-aid and places it at the ready on the side. 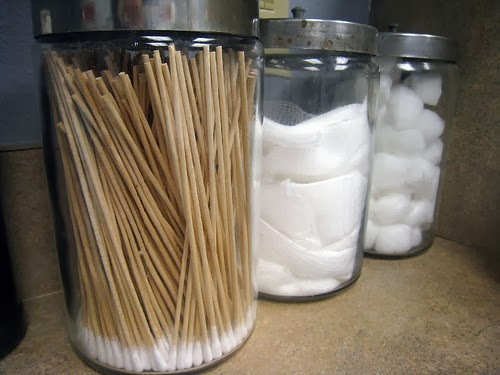 Then she get the syringe AND the cotton that had just fallen on the floor, ready in hand. As she is about to give the shot, I say, "You're not going to use the cotton on my daughter that just fell on the floor, are you?" Her eyes look askance and she throws the cotton back down on the tray, and says, "Oh, of course not." I spoke with my daughter afterwards about this as it was hard to understand how a medical practitioner could on one hand, be administering a helpful medicine to a patient, and at the same time, was about to use a dirty cotton on the wound afterwards. What happened to people actually caring about people and taking pride in the jobs they do, rather than just being in it for the paycheck only?